I guess I am what some people refer to as a re-rider. Still a horse-crazy adult, I rode as a child, and as life happened, I fell away from the sport. I met Marsha in 2006 and began taking lessons with her shortly thereafter. Quickly, it was clear that Marsha has a special talent with equines and the people that love them. She is a complete horse person. I was so impressed with her ability to communicate in lessons, and to match rider to horse, that I started my then 6 year old daughter in lessons soon after. Marsha has started Katie slowly and correctly with an emphasis on the basics. In fact, other local trainers have commented to me on what a great start Katie has had with Marsha. Of course, Marsha will continue to train Katie into her junior years. 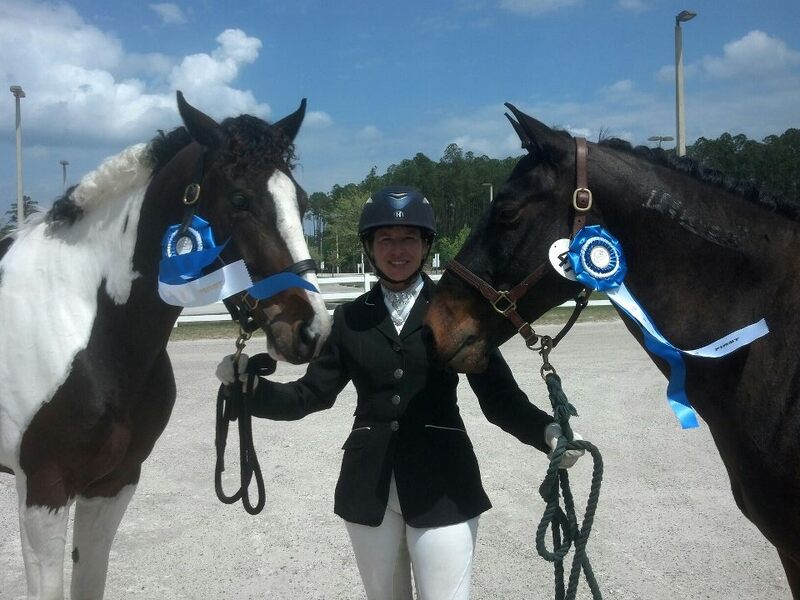 In addition to her talents as an instructor, she is a keen-eyed matchmaker between rider and horse. My partnership with my horse Pete is due to Marsha’s ability to seek out and find just the right horse for her clients. Please stop by the barn sometime and meet Pete. He’s the handsome bay, first stall on the right; 16.3 hands of personality. He’s my pride and joy. If Marsha can’t find your dream horse, or he/she is not at her farm, she can certainly help you make one. As an experienced breeder, Marsha is in the process of helping me find just the right sire and dam for my daughter’s junior hunter horse- to- be. I know that she will be there every step of the way for us in this very exciting process. than a year my daughter is a confident and safe rider. supervise and instruct each student throughout group lessons.